One of my favorite things about holidays is how much fun you can have decorating your home. 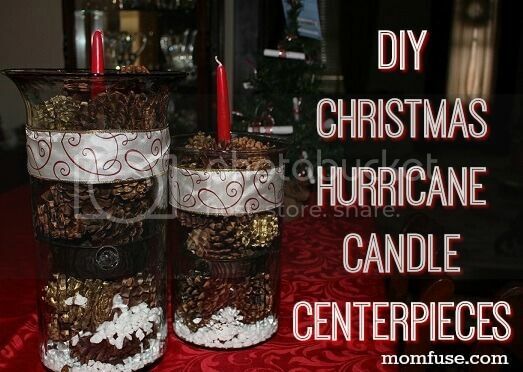 This year we decided to create a beautiful DIY Christmas hurricane candle centerpiece that I am absolutely in love with! When you walk into our house you’re eyes are immediately drawn to the dining room. We have such an open house but when you walk in your eyes almost immediately focus on our red themed dining room. 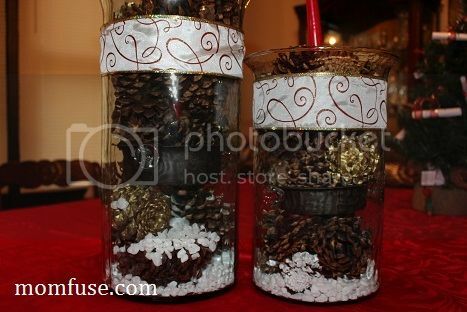 It just draws you in which is why I always love creating fun holiday centerpieces for our table. These hurricane candles were super easy to make and they fantastic! 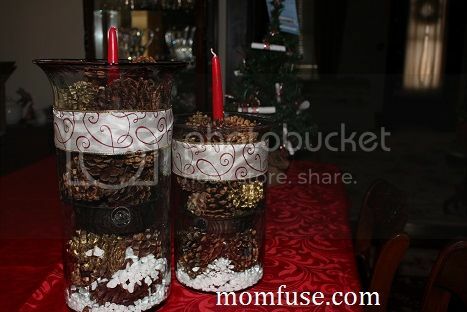 Since its DIY you can also get more creative and fit them to your decor style. 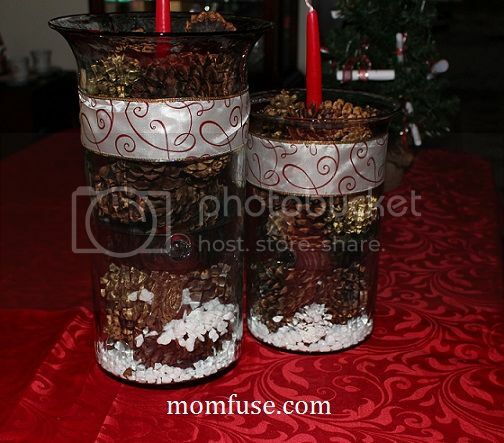 As you can see, we just basically layered the rock and pine cones. 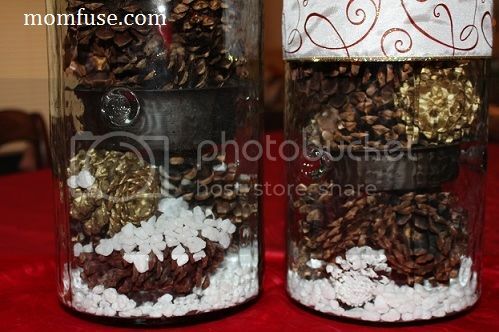 The first layer we put in was the white rock, then we placed some pine cones on top and sprinkled just a little more white rock over the pine cones to give it some color. The shelf unit in the hurricane glass came with the hurricanes and I decided I wanted some kind of fragrance in there as well. It’s a metal dish that sits on a few glass knobs. We had some of these really cool Sparkle Stones which are a shimmering, flameless alternative to candles that smell amazing so we used those. But really any fragrant decor will work. These hurricanes have a pretty good size shelf inside them so you can get creative. Then we placed the candle stick inside, it sits in the dish and filled the edges with more pine cones which also helped keep the candle in place. 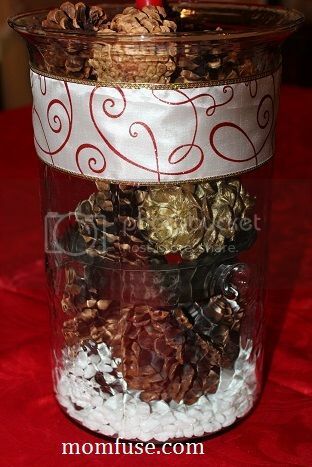 After the inside was done we used the wide ribbon to add some extra pop to our DIY Christmas hurricane candle centerpieces. We simply cut the ribbon to fit the hurricanes and used a piece of tape to keep them together and in place.